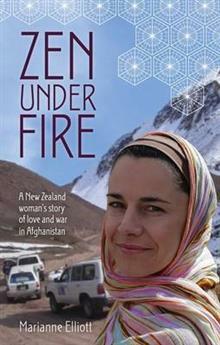 In 2006 Marianne Elliott, a human rights lawyer from New Zealand, is stationed with the UN in Herat. Several months into her new role an important tribal leader is assassinated while she is in charge of the local UN office. She must try to diffuse the situation before it leads to widespread bloodshed. Zen Under Fire is a vivid and deeply personal account of a young woman's time living and working as a peacekeeper in one of the world's most notorious battlegrounds. As well as sharing the incredible details of her UN work in and around Herat and the remote province of Ghor, Marianne tells of the shattering effects of this high-stress, high-danger environment on her and her relationships - and how, amid the turmoil, she begins to find her way back to herself. Marianne Elliott is a writer, human and environmental rights advocate, and international yoga instructor. Trained as a lawyer, Marianne created the Action Plan for Human Rights in New Zealand, helped the government craft their own human rights strategy in Timor-Leste, and spent two years working in human rights in the Gaza Strip prior to her time in Afghanistan. Marianne also co-wrote a UNIFEM report on Gender-Based Violence in Afghanistan. A popular blogger (www.marianne-elliott.com), Marianne is also a frequent contributor to the Huffington Post.